Meg Harpers place to speak to the world and share her passions: art, nature, animals, vibrant colors and where they connect. 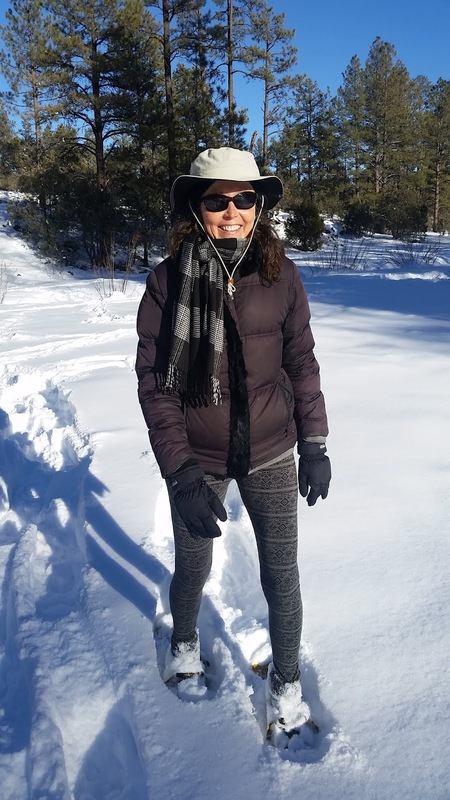 This desert girl doesn't get the opportunity to play in the snow very often!! I got plenty of this white stuff in my youth growing up in upstate NY, so it brings me back to my childhood for sure. I loved snowshoeing, who knew? I was all caught up in the mystery of animal tracks and being able to explore without a trail! That cold fresh air feels sooooooo good. 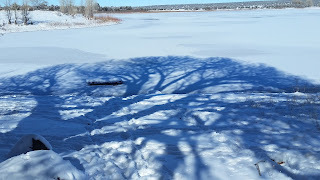 I loved White Mountain Lake and the beautiful shadow the tree made. You can barely see the snow covered picnic table in the frozen lake too. I loved my snowy transition from 2018 to 2019. It's a fabulous year already and it just started!!! P.S. I also loved driving home to 60 degree weather and saying good bye to the cold, just sayin'. The whole world sparkles when you are doing what you love!